A UN plane will evacuate 50 wounded Houthi militants from Yemen’s rebel-held capital Sanaa on Monday as a “confidence building measure” ahead of planned peace talks in Sweden, a Saudi-led military coalition said. “A UN chartered plane will arrive at Sanaa international airport Monday to evacuate 50 wounded combatants… three Yemeni doctors and a UN doctor, from Sanaa to Muscat,” a coalition spokesman said in a statement carried by the official Saudi Press Agency. The fate of wounded rebels had been a stumbling block to the start of a previous round of aborted peace talks in September. 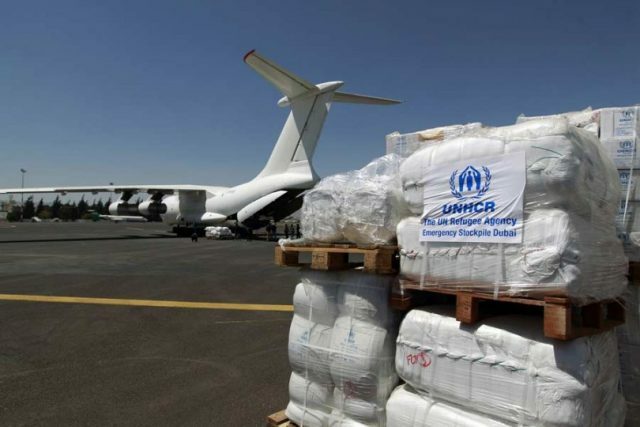 The coalition agreed to facilitate the medical evacuations at the request of UN envoy Martin Griffiths for “humanitarian reasons” and as a “confidence building measure”, the spokesman added. Houthi rebels on Thursday said they will attend UN-brokered peace talks in Sweden this week if guarantees to ensure they can leave home and return back are maintained. Yemen’s internationally recognised government, which is also backed by a Saudi-led coalition, has already said it would attend the planned talks in Sweden. Griffiths has held talks separately in the past few days with officials from both sides as part of efforts to lay the ground work for the peace talks. In September, a previous round of UN-led talks failed when the Houthis refused to travel to Geneva, accusing the world body of failing to guarantee their delegation’s return to Sanaa or secure the evacuation of wounded rebels to Oman. According to UN figures, nearly 10,000 people have been killed since the coalition joined the conflict in 2015 to bolster Hadi, triggering what the UN calls the world’s worst humanitarian crisis. Rights groups fear the actual toll is far higher.